If your business distributes its email using the 2013 version of Microsoft Exchange Server, you might wonder why you need anti-spam software for Exchange 2013. Well, shortly after the product was released, Benoit Roumagére – who at the time was the head man at Microsoft Outlook – told the French newspaper Le Monde that improvements to the way in which the server filtered spam email meant that mail inboxes would only consist of 2%-3% spam. Some years later, a study was conducted into productivity loss due to spam email. It was found that the average employee still receives twenty-one spam emails every day and, on average, it typically takes sixteen seconds to identify each email as spam and delete it. The productivity loss per employee was calculated at $712 over the course of a year. By comparison, anti-spam software for Exchange 2013 – capable of detecting 99.97% of spam email – can cost less than $10.00 per employee per year. The cost differential fails to account for phishing, spoof emails and other email-borne threats. In 2015, the Ponemon Institute´s “Cost of Phishing” report calculated the average cost of removing malware and recovering data following a successful cyberattack was $1.8 million. Our anti-spam software for Exchange 2013 includes protection against phishing and malicious URLs for free. Microsoft EOP costs $12.00 per employee per year – despite which it is not so effective at detecting spam emails. The reason why our anti-spam software for Exchange 2013 – SpamTitan – is more effective at detecting spam than Microsoft EOP (and many other email service providers) is a process called “greylisting”. Nearly all email filters use similar front-end tests to prevent the delivery of spam email before it reaches the mail server. Typically these include comparisons against Realtime Block Lists (RBLs), SMTP handshakes and Recipient Verification Inspection, but not necessarily greylisting. Whereas comparisons against RBLs are a good way to identify known sources of spam email, the reason why mail inboxes still consist of 2%-3% spam is because spammers keep changing the location of their servers to get new IP addresses. Consequently the majority of spam that evades detection originates from previously unknown sources of spam. Greylisting resolves this issue and improves spam detection rates by initially rejecting every inbound email and requesting it is sent again. Most servers will have the capacity to respond to the request and resend the email. After which the email goes through the remaining front-end tests before being delivered via the mail server. However, spammers´ servers are too busy sending out spam emails to respond to the request and it goes unanswered. The spam email is never resent, and never delivered to the mail server. This spam detection mechanism improves spam email detection rates from 97%-98%, to 99.97%. There are other benefits of our anti-spam software for Exchange 2013 that make it a better option than Microsoft EOP for many businesses. Possibly the biggest benefit relates to the risk from web-borne threats. SpamTitan mitigates the risk from phishing attacks and employees clicking on malicious URLs by checking links within emails and their attachments against “URIBL” and “SURBL” databases. These checks help identify domains and URLs frequently found in unsolicited bulk email. 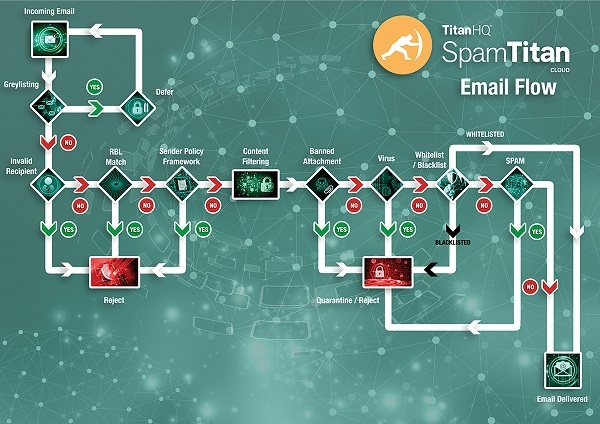 A further benefit of SpamTitan anti-spam software for Exchange 2013 is that it scans outbound emails to identify any that could be interpreted as spam by an inbound email filter with a low acceptance threshold. Emails with incorrect spelling or a high density of spam-related keywords could result in your IP address being blacklisted and added to a Realtime Block List. This feature also ensures early detection of cybercriminals hacking into your mail server. Microsoft has also been criticized for failing to provide a choice of hosting options for its Exchange Server and for EOP´s high maintenance overhead. With SpamTitan, your business has the choice of on-premise hosting (SpamTitan Gateway) or cloud-based hosting (SpamTitan Cloud). Both are easy to implement and configure via a browser-based platform, and both are provided with APIs for simple integration with existing management tools. To significantly strengthen Microsoft Exchange/Office 365 security and protect against new malware variants, it is necessary to adopt a defense in depth strategy. 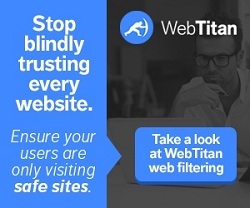 Organizations that deploy SpamTitan have an additional layer of security that greatly improves resilience against phishing attacks, zero-day attacks, and email-based malware and ransomware threats. The image below summarizes the processes used by SpamTitan to block these threats. 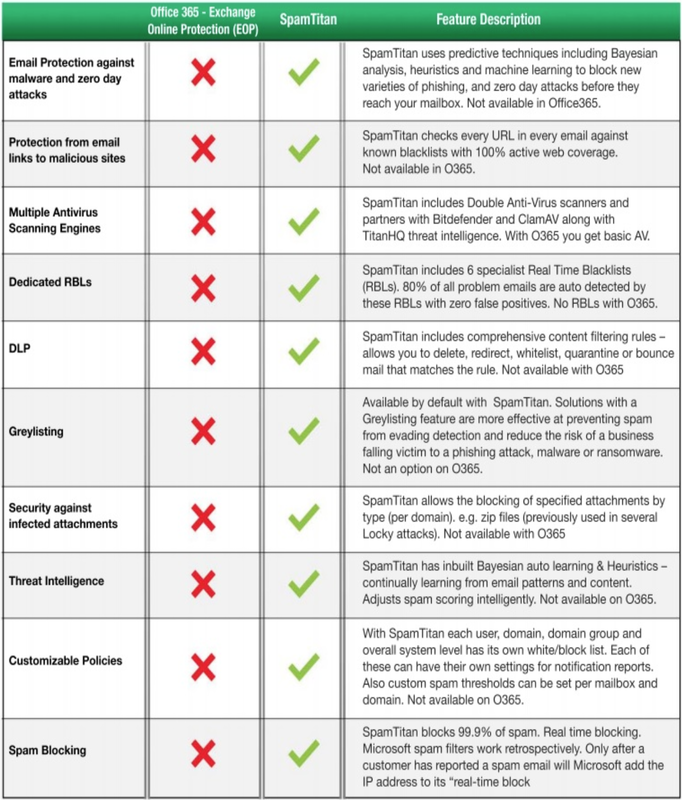 In contrast to Exchange Online Protection and Office 365 email security controls, SpamTitan uses predictive techniques to identify and block new threats such as zero-day attacks, spear phishing attempts, and new malware variants. All embedded hyperlinks in emails are compared with six specialist Real Time Blacklists to determine whether they are benign or malicious. These additional controls ensure that more spam and malicious messages are blocked and do not get delivered to susceptible end users. If your business uses any Microsoft Exchange Server, and you are unhappy about the volume of spam and web-borne threats that evade detection, speak with us about a free trial of our anti-spam software for Exchange 2013. SpamTitan is compatible with every operating system and can be deployed as a virtual appliance between your business´s mail server and firewall or hosted in the cloud – where a further choice of deployment options exists. Our free trial offer consists of thirty days use of the SpamTitan product most suitable for your circumstances with full customer and technical support. There are no set up fees, no credit cards required and no contracts to sign. At the end of the thirty day trial period, you can walk away from 99.97% spam detection with no hard feelings, or choose from one of our flexible payment options to continue using our anti-spam software for Exchange 2013. For further information about our offer, or to ask any questions about our anti-spam software for Exchange 2013, do not hesitate to contact us. Our team of helpful sales technicians will be able to guide you through the process of registering for your free trial and explain the features of the SpamTitan cloud based anti spam service. Within minutes, your business could be reducing the volume of spam email allowed by Microsoft´s filters and increasing its protection against email-borne threats.